As per the latest studies in 2018, most people with access to mobile internet use social media like Facebook, Twitter and LinkedIn. However, many people are ignorant of the fact that these platforms are major targets for scamsters and spammers. Safety tips for social media users. Always set a tough password. The longer the betters. Don't use the same password for your social media accounts. For example if you use ABCxyz@123 as your Facebook password, don't use the same password on Twitter. Always set your security answers. This two-factor authentication process is now available on popular social media platforms. If you install social media apps on your smartphone, always use a password to open your device. Don't just accept any friend requests. A simple formula is: If If you don’t know the person who sent you a request, simply cancel their request. It could be fake account who want to peak into your life in order to cheat you or worst of all con you of your wealth. Don't just click any website links. If the link offers sound too good to be true, it is best to not click it. Share things judiciously on social media. Never ever give out sensitive data like your home address, bank information, or your phone number. Keep this in mind: The more you share about your life, the easier it is for bad people to steal your identity. Always read privacy policies of social media platforms. Even if you don't read them all (i know that is difficult to do), at least customize the privacy settings to control who sees what you posted. Smartphones are by default supposed to be quite secured but you can still have virus and malware when you visit questionable links. So, use a good and trusted anti-virus app only. In addition, install antivirus software to safeguard your computer. Always ensure that your web browser, OS and software/apps are updated. Last, but very important! 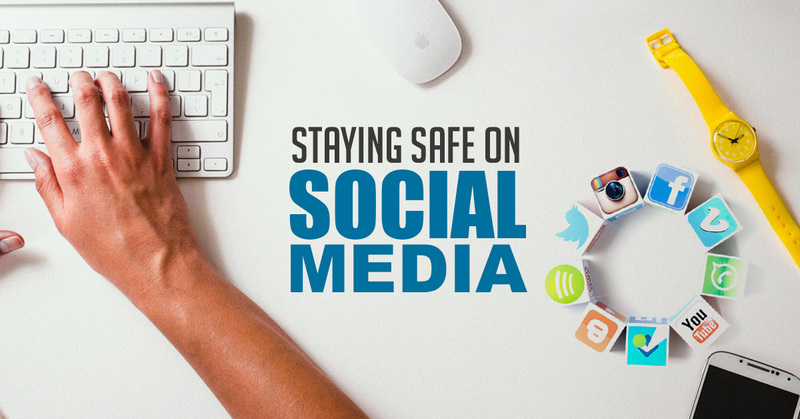 Don't forget to log off or logout of your social media accounts when you’re done using it.